Neighborhoods designed for active travel can increase routine physical activity for residents of all ages. 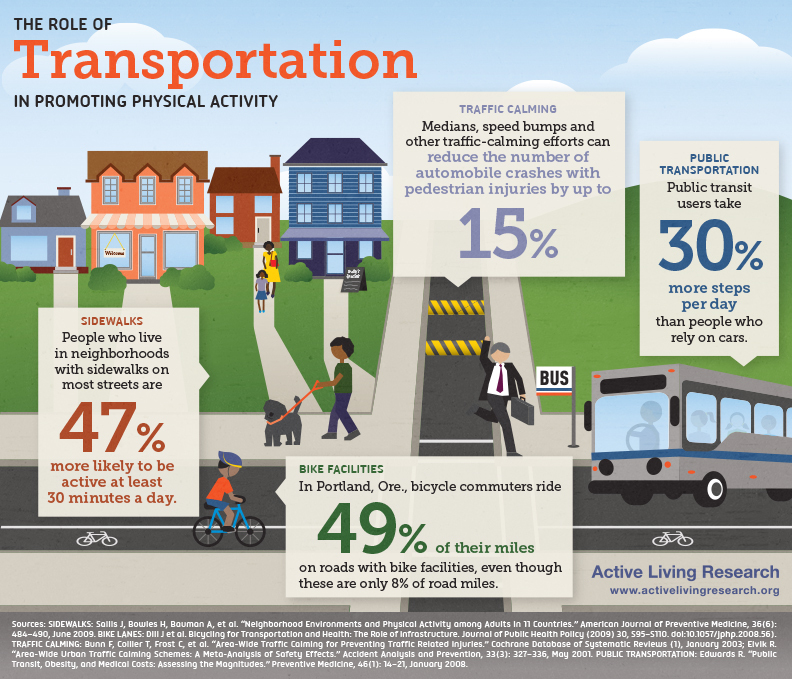 This infographic highlights evidence that sidewalks, connected bike facilities, public transportation and traffic calming are strategies that can make it easier for people to reach their destination without the use of a private vehicle. This infographic can be downloaded for free in JPG format (425 KB) by clicking on the image or the "Download Original" link. A high resolution PDF version (1.07 MB) of this infographic is also available upon request. When requesting, please let us know how you intend to use the infographic.